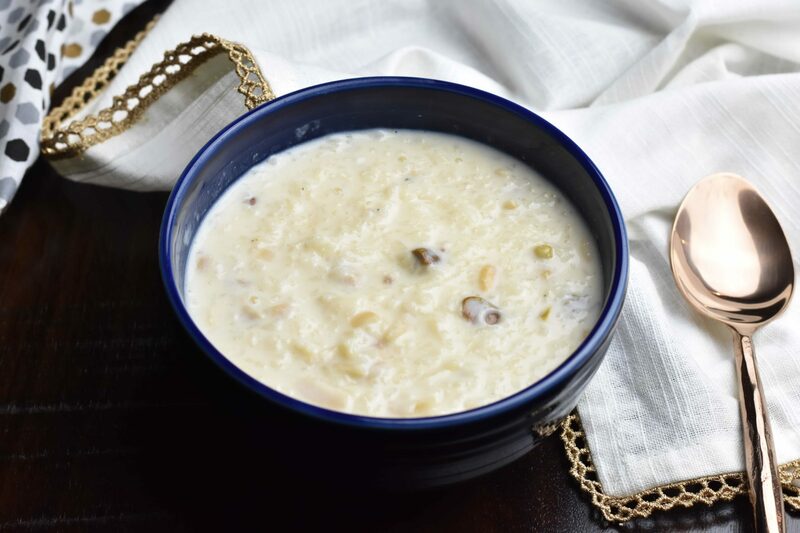 If you are looking for a comforting and delicious dessert, nothing comes close to a bowl of old fashioned creamy Rice Pudding (Kheer). 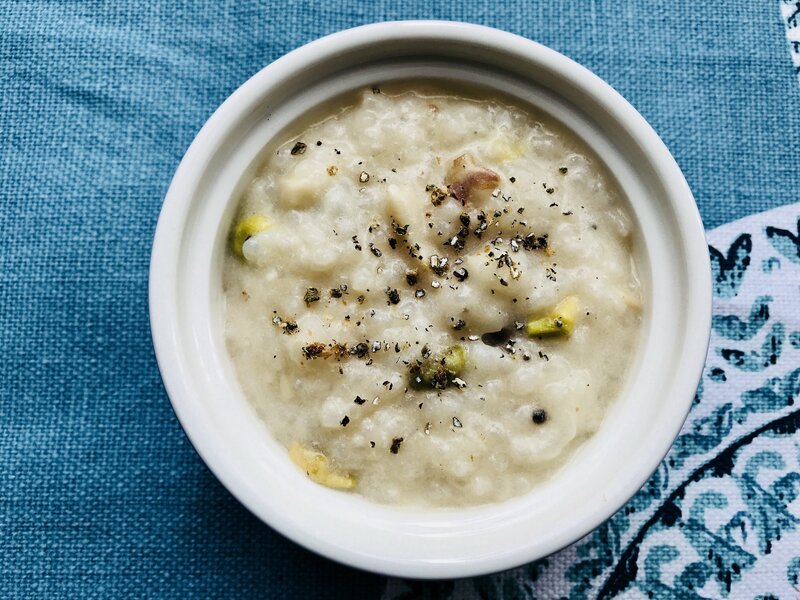 In this easy dump-and-start recipe, I transform three simple ingredients, rice, milk & sugar, into a rich and satisfying Indian Rice Pudding, called Kheer, or Spanish style Arroz Con Leche, using the Instant Pot pressure cooker! Rice Pudding is one of the most popular desserts in many cuisines around the world. It is known as Kheer in northern India. 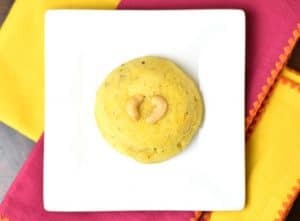 Indian rice pudding or Kheer is made by cooking rice with milk and sugar, and is enhanced by cardamom or saffron, and dried fruits and nuts like cashews, almonds, pistachios and raisins. 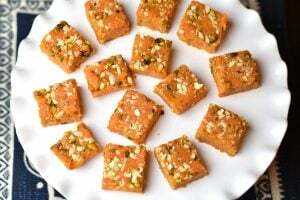 There are many variations and names of this Indian food sweet treat all over India. It can also be made with broken wheat, tapioca or vermicelli. 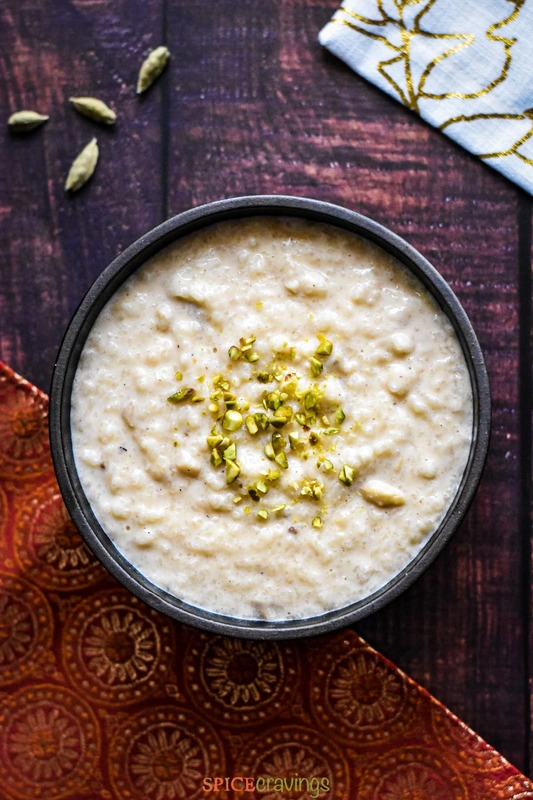 Kheer is often made during festive occasions and as an offering during prayer ceremonies. 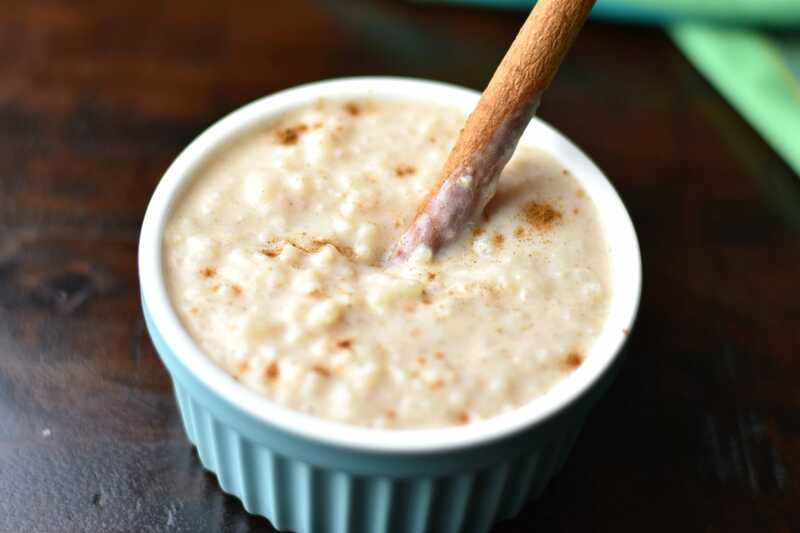 Another popular rice pudding is the Spanish/Latin American rice pudding dessert called Arroz Con Leche, which literally translates to ‘rice with milk’. 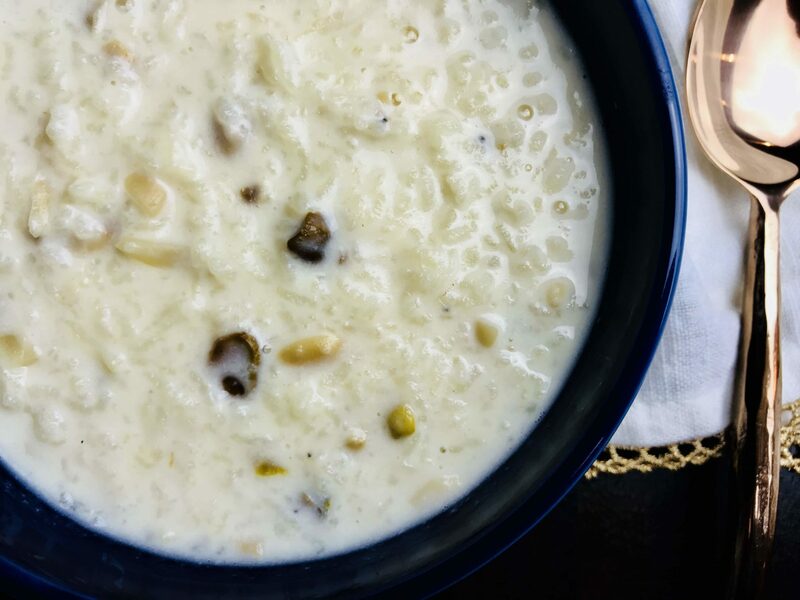 In this post, I included both these delicious classic desserts: the Instant Pot Kheer recipe or Indian rice pudding recipe and the Spanish or Mexican rice pudding recipe. Both these easy rice pudding recipes have no egg in them. There are 60 Rice Pudding Recipe Variations Around the World! Rice puddings are found in nearly every area of the world. 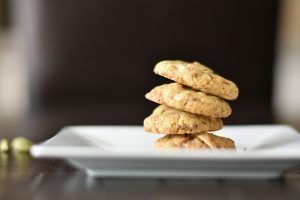 There are variations in recipes based on cooking methods and list of ingredients, but rice (or a similar starch) and milk seem to be the common ones in most. According to Wikipedia, there are close to 60 variations of rice puddings around the world. Arroz Con Leche, literally translates to ‘Rice (Arroz) with Milk (Leche)’. 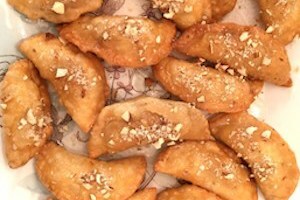 My kids introduced me to this wonderful dessert. My daughters had to make a traditional Latin American dish for their Spanish class at school, and one of them opted to make Arroz Con Leche. 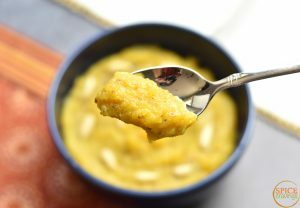 She came home with a recipe, and that’s when I realized, how similar it is to the Indian rice pudding, Kheer. My daughter’s rice pudding got rave reviews at school and we added another great recipe to our family favorites! If you want to try it, I’ve added that recipe too! This homemade rice pudding recipe can be made dairy-free by substituting milk with unsweetened, regular Almond milk, or full-fat coconut milk. I’ve tried using low-fat coconut milk, but it just doesn’t taste creamy and smooth like it should. If you want to make it nut-free, use regular milk, and skip the nuts in the recipe. I have observed that whenever I make kheer with almond milk, I do end up adding 1-2 tablespoons of extra sugar. There is also a textural difference when you make it with almond milk since it doesn’t have as much fat as regular milk. So, the rice pudding is not as rich as the regular one. 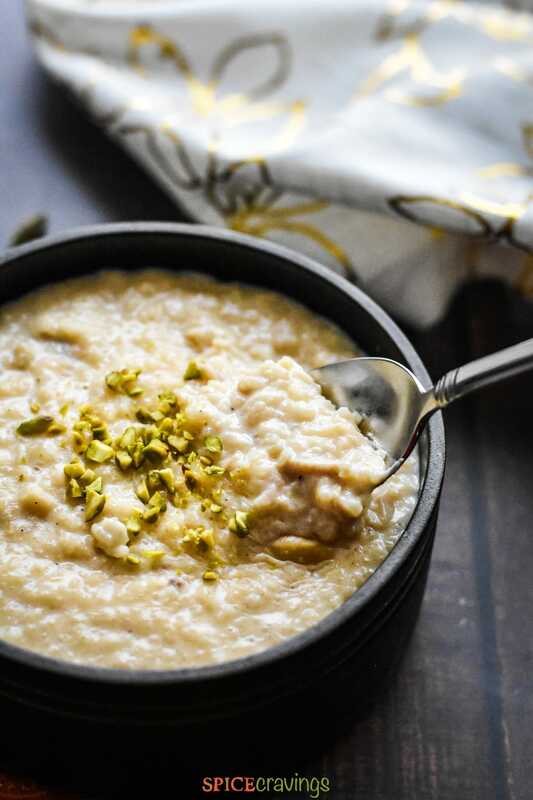 I like to flavor this easy kheer recipe with freshly ground cardamom. If you don’t like the black specs in it, you can use the store bought version, which is much lighter. Also, you can use raisins, coconut and even saffron to enhance your rice pudding. So, if your version is different than mine, simply use this recipe as a guideline and do your magic. 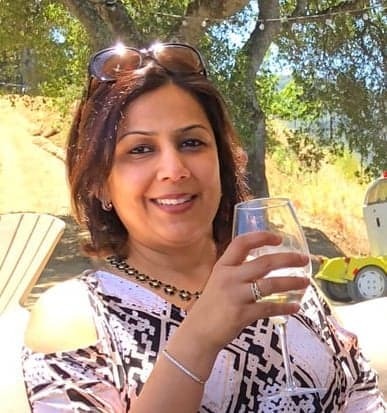 Till I bought my electric pressure cooker, Instant Pot, I used to make Kheer on the stove-top. It would take me around 30-40 minutes (depending on quantity), but I had to babysit the pot. I had to adjust temperature, keep stirring, make sure the milk doesn’t boil over. Definitely worth it, but why do that when you can have a hands-free option! Until now, I believed that dairy has a tendency to curdle under high and fluctuating pressure, which is how many stove-top pressure cookers operate. But the Instant Pot is different. The Porridge mode allows you to cook at a consistent and even temperature- no drastic jumps in pressure till the cooking is done. So now, I can fill the pot with the ingredients, give it a stir, and set a timer on Porridge mode and forget about it! That’s a huge win for me. In order to ensure that the milk doesn’t stick/burn at the bottom of the pan, start by adding 1/4 cup water and then add the milk. Don’t ask me how, but this trick works every single time. By turning the Saute mode on initially, the milks gets tempered, which means, it warms a bit before we close the lid for pressure cooking. wipe your inner pot clean to make sure nothing from the last meal is still sticking to it. If you were making this rice pudding recipe on the stove-top, I’d suggest a heavy bottom sauce pot like this one: Non-Stick Sauce Pan. I start by adding the milk, give it a few minutes to warm up and then add rinsed and drained rice and nuts. Keep the heat at medium-high and stir intermittently, till the milk reaches a boil. Turn down the heat on medium and stir till rice get cooked. 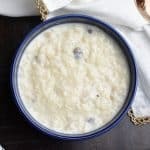 , it gives a good texture to the Kheer. Turn off the flame till you reach the right texture for how you like your Kheer. I personally, don’t like to thicken it a lot, because it will naturally thicken as it cools down. If it’s too thick, add more milk and adjust the sugar accordingly. 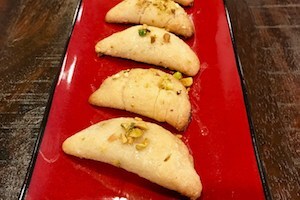 Finish by sprinkling in some cardamom powder and enjoy warm or cold! 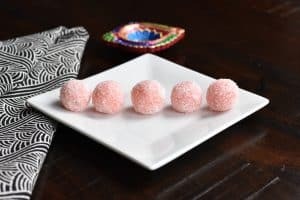 Here are some other Indian desserts that I love to make and my family really enjoys. 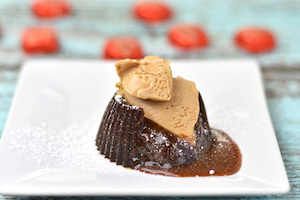 ★ Have you tried this recipe? Click on the stars ★ in the recipe card to let us know your feedback! Here is a dump & start pressure cooker recipe for Creamy Rice Pudding! 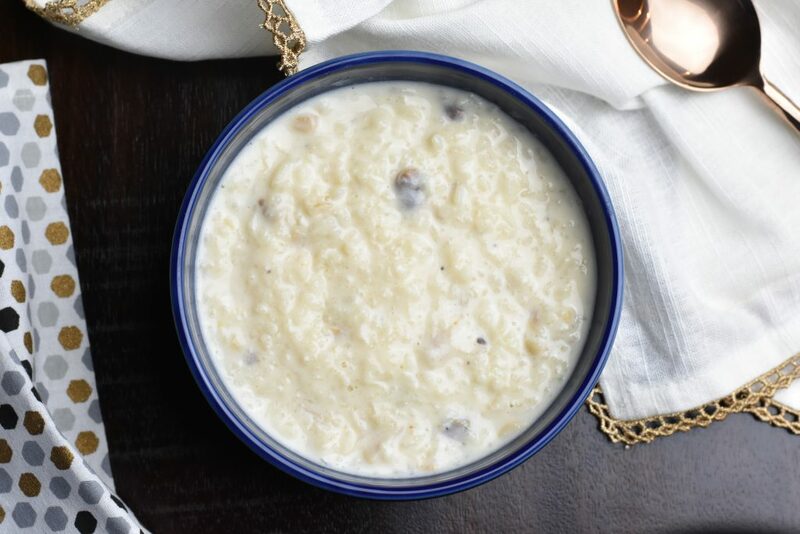 In this easy recipe, I transform rice, milk & sugar, into two amazing flavors- Indian rice pudding Kheer, or Spanish Arroz Con Leche! Prep: Rinse rice 2-3 times or till water runs clear. Soak in water till you arrange everything together. Chop nuts to your liking. Crush cardamom if using fresh. Turn on Instant pot to Saute Mode. Add 1/4 cup water. Now add the milk. This prevents the milk from scorching the bottom of the pan. Add drained rice, sugar, nuts and give it a light stir. Hit cancel. 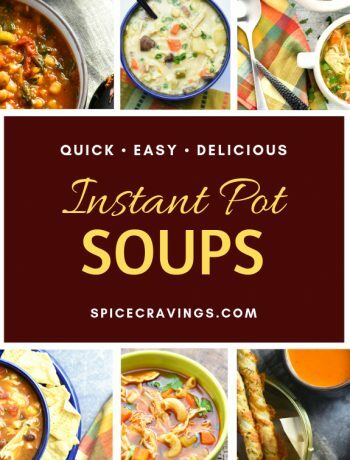 Set instant pot to Porridge mode for 20 minutes. Valve set to Sealing Mode. Let the pressure release naturally for at least 15 minutes (NPR 15). Open the lid. 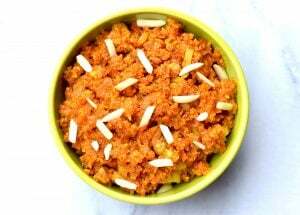 You can mash the rice a little using a Potato Masher– it gives a creamy texture to the Kheer. Add ground cardamom and stir. Kheer is ready to eat. You can enjoy this warm or cold! If the Kheer is thin for your liking, you can cook of the milk by turning on the SAUTE mode. But remember, that it will thicken quit a bit as it cools. If Kheer is too thick for you, you can add more milk to it and cook it till the milk boils. Remember to add more sugar in that case. f you were making this rice pudding recipe on the stove-top, I’d suggest a heavy bottom sauce pot like this Non-Stick Sauce Pan. Turn down the heat on medium and stir till rice get cooked. Add sugar and stir till sugar dissolves. 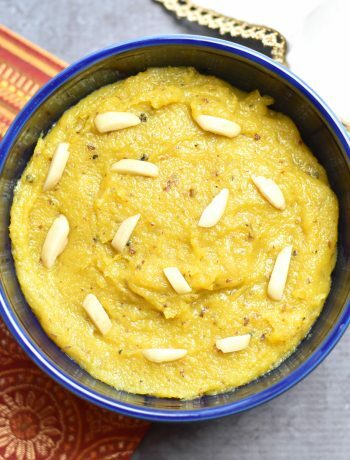 You can mash the rice a little using a Potato Masher– it gives a good texture to the Kheer. If you are new to the Instant Pot, please read my FAQ on Instant Pot Terminology and Accessories to learn more. Cook time = Time to set for pressure cooking. Total cooking time includes 10 mins+/- for pressure build-up. The quantity of milk depends on your personal preference. If you prefer a more chunkier rice pudding, reduce milk to 4 cups. In that case, add only 1/2 cup sugar. Note: The nutrition facts below are my estimates. If you are following any diet plan, I recommend cross-checking with your preferred nutrition calculator. 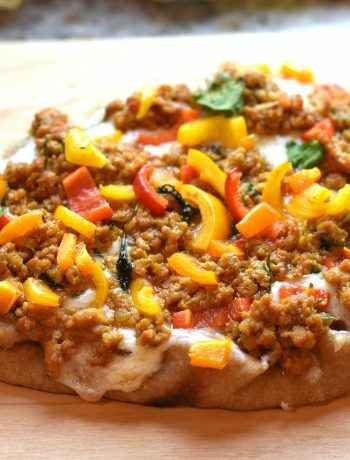 Did you try this recipe?Mention @SpiceCravings or tag #spicecravings! ❤️ For more quick & easy recipes, JOIN ME on Youtube and Pinterest. Spice Cravings is a participant in the Amazon Services LLC Associates Program, an affiliate advertising program designed to provide a means for us to earn fees by linking to Amazon.com and affiliated sites. Hi Kathie, Thank you so much for your kind words. I am so glad that you found my recipe posts to be balanced. I would love to hear when you try something. Happy Cooking! Thank you for this very excellent recipe! After making the arroz con leche version multiple times, I’ve had excellent results each time- thick, creamy, sweet, well cooked rice without all the stirring! And no burning! I’ve had good results with half coconut milk and half regular milk when I want a little tropical flavor. This recipe is now one of my regulars. Hi Victoria! What a wonderful comment to wake up to 🙂 I am so glad you enjoy this recipe. Thanks so much for sharing that. I love your coconut milk twist, I’ll try that next time! Thank you Aneesha for the recipe!!! Loved it! And thank you Elizabeth for the question- having 20 people over this Saturday! Had similar question :). Thank you for the Kheer recipe! I have a 6 qt IP and I would like to double your recipe to serve 8. I will double each ingredient. Do I double the cooking time on “porridge” as well or slightly increase it? What do you suggest? Hi Aneesha.. I am a newbie and hence a bit confused. I wish to make sevai kheer in my 3qt mini IP. Are these measurements and time settings for a mini IP? I looked through your site but did not find an altered recipe for a 3qt IP. I am quite worried about the quantity of milk and it spilling over. Hi Dipalee, This recipe for rice kheer needs 4 cups of milk. It can be made in a 3 Qt too. To test that, fill your 3Qt with 4 cups water and you’ll see it is way below the half-way mark. I don’t think it should be a problem. I always recommend warming the milk and adding the initial water so that the milk doesn’t burn or curdle. Hope this helps. Copyright 2019 Spice Cravings. All Rights Reserved. Sign up to get the latest recipes and kitchen tips. Don't worry, I won't spam you; I hate spam too!